Phew! It sure is good to be back at our Power Tee office! We hope you and your families had a wonderful holiday season, and we hope you aren't too cold out there! Power Tee has been keeping busy this month - let's take a look at some of the cool things we did! We're always happy to break ground and install Power Tee, but it's even more special when it's somewhere we've never been before! 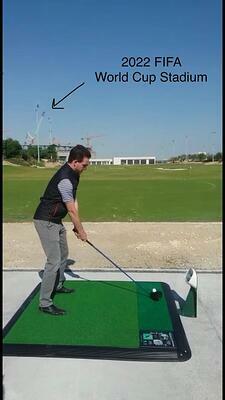 The Education City Golf Course in Qatar, set to open this year, now has Power Tee. We're so excited to have Power Tee in Education City and can't wait for new golfers to try our product (and love it). Oh, by the way, it's right by the 2022 World Cup site. This was our ninth year at the PGA Merchandise Show in Orlando, and it was by far our best year. It was so amazing to see all of our hard work and planning come together. Our UK team flew over to help, and they smashed it out of the park. 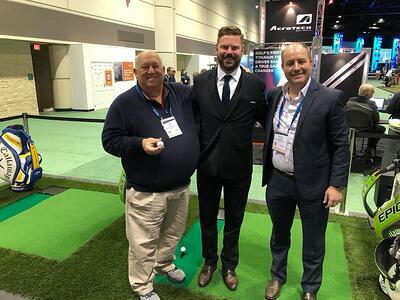 5 Under Golf Center was so excited about Power Tee that they signed with us right then and there! We are so excited to be installing at their facility in Texas later this year. We also sold a home use Power Tee unit to a celebrity... who can it be? Stay tuned for the reveal of who it is next week! Overall, it was a great show and we can't wait to go back next January. 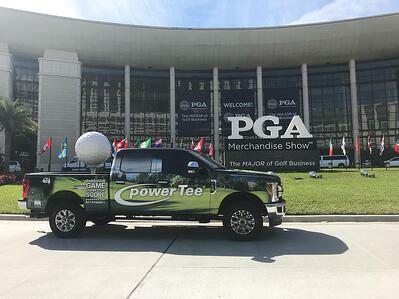 Who do you think is the new celebrity owner of a Home Use Power Tee? Take your guesses in the comments below - if you're right, we'll send you some Power Tee merch!